In teaching young attorneys how to try cases, much of the instruction centers on preparation. An important aspect of Trial Prep are timelines of events such as litigation and medical treatment. If you are able to look at the timelines individually and collectively you will often see a different picture. This view is analogous to viewing art in a museum. Look from a distance. Then walk up close for another look. Then finally return to the distant view and with the knowledge of the detailed view you will see a “third” view of the art. Q: Ma’am you treated three times a week from September until November 23 correct? A: Yes I believe so. 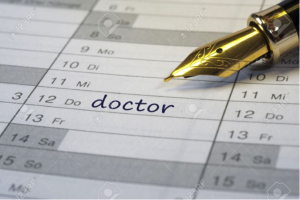 Q: Then your next doctor visit was on January 6? Q: Then you treated from January 6 until March 12th when the doctor discharged you right? Q: You did not see any other doctors during that time did you? Q: So we are clear, you did not get any medical care or treatment from just before Thanksgiving until after New Year’s – pretty much the entire holiday season correct? A: Uh yeah. I think so. Unless you want to sit in front of a jury and hear the defense attorney tell the jury how you, and your alleged pain, took off from the claim for the holidays, make sure you go to all of your doctor and physical therapy appointments. If you have a claim for personal injury, you really shouldn’t be on social media. If that thought causes you to have an anxiety attack then there are a few things you should know. First, set your privacy settings so that every single post, photograph or tweet is not available for the public. There is no reason to make it that easy for an insurance company or defense attorney to use your own words and actions to deny your claim. 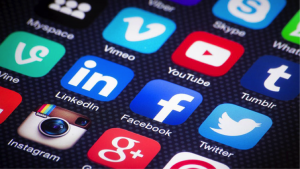 Second, understand that if your case is in litigation, then the defense attorney will most likely ask questions about your social media footprint and then follow that up with a subpoena to whatever social media you might be on. So even if you reset your privacy settings, other people will eventually see your social media posts and tweets from the day of the accident until the day when Facebook, Twitter, Instagram and others produce your records. Q: You were going to the doctor’s office three times a week from September until December? Q: Were you in pain during that time? Q: Didn’t you also sign up for Samba Dance lessons in September? Q: Didn’t you post on your Facebook page that you signed up for Samba lessons in September at the university? Q: Didn’t you sign up with your friends Marla and Audrey and post that you loved the classes on September 19? Q: So you were taking Samba Dance classes while you were treating with the doctor? Q: Did you tell the doctor or his staff that you were taking Samba classes? Q: Did you really expect them to ask you if you were taking dance classes? Q Did you tell you Samba Dance Instructor that you were being treated by a doctor for a back injury? Whatever you place on social media from the day of your injury will most likely be seen one day by the last people you would have made as part of your social media family and friends – the defense attorney, the jury, and the judge. So be smart and avoid “Death by Social Media”.